The oblong rocksnail, declared extinct in 2000, has made a comeback. On May 22, 2011, PhD student Nathan Whelan was conducting research in a short stretch on Alabama’s Cahaba River, in the US. He collected samples and took them to the Alabama Aquatic Biodiversity Centre (AABC). Among them was a minuscule snail, which looked rather familiar; Whelan thought the specimen could be the extinct Leptoxic compacta. Whelan used a scanning electron microscope to compare an oblong rocksnail specimen collected in 1881 to the recently collected snails — they looked very similar, almost identical. “We decided to look for this snail because it was the only species of the family Pleuroceridae from the Cahaba River that was considered extinct. However, there was never a good explanation for why L. compacta went extinct, but others from the same stretch of the Cahaba River did not. For that reason, I had a hunch that it still may be extant, but in an area of the Cahaba River, which is not easily accessible,” Whelan said. With three of his friends, the student from the University of Alabama in Tuscaloosa embarked on a kayaking expedition along the river to find more oblong rocksnail specimens. After surveying the area, they found that the oblong rocksnail still lives in the area. “Once we started the survey at the point in the Cahaba River we thought it may be most abundant, we found it rather quickly. 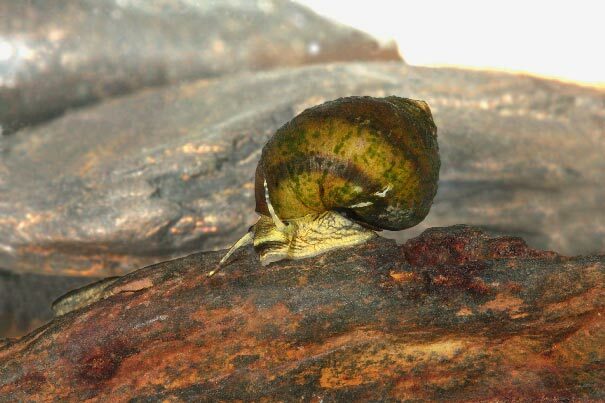 The species was found in a short stretch of the Cahaba River on the border of Shelby and Bibb counties in central Alabama,” mentioned Whelan, who is interested in the conservation of freshwater snails throughout the southeastern US. The oblong snail, which is the size of a five-cent coin [pictured], has a yellow body and a black band on its head was declared extinct in 2000. The newly found population is small and a single event, such as increased water pollution, could be the end of the species. Previous Post What makes Paris look like Paris? Next Post Why do women live longer than men?